Is your pool liner leaking, fading, tearing or just plain old looking? You are not alone. It is common for pool liners to fade and tear due to over-chlorination and sun exposure. Do not worry, you can turn to The Pool Doctor Contractors for help. For inground pools, we offer a variety of colors and patterns to help transform the look of your pool. It can be simple, have an artistic flair or be elegant. Not only will your pool look new and beautiful, but it will also be protected by our strong premium quality virgin vinyl. Your pool will be custom measured for the perfect fit, and we offer manufacturer warranties for your peace of mind. For above ground pools, we do not sell the liners, but we install them. We can measure and point you in the direction as to where to purchase one and then give you a professional installation to make your pool look new again. A vinyl swimming pool liner from The Pool Doctor Contractors is like no other! 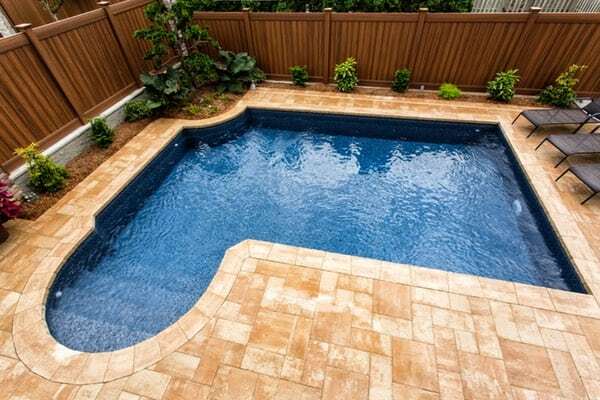 If you are interested in a new liner for your new pool construction or a replacement vinyl liner to give life back to your existing pool, contact The Pool Doctor Contractors today, your most trusted source for pool liners. Feel free to contact us by phone at 718-984-POOL or through our contact form.